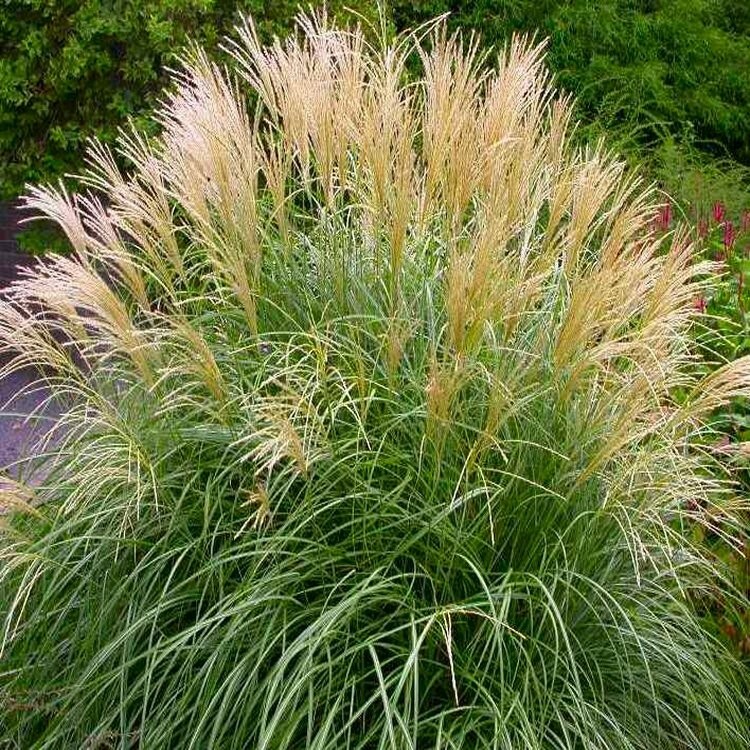 Miscanthus Krater is a dwarfer form, reaching a maximum of around 100cms tall. It has narrow leaves and a compact, dense habit, forming a lovely clump that displays deep rose-red plumes that age to silver in the autumn. The foliage turns a beautiful burgundy red colour as autumn temperatures cool adding a further dimension of interest. Ideal in a bright sunny position, it is also resistant to summer droughts if you have a troublesome drier spot in the garden, it could be the plant for you. Supplied in approx 3 litre containers.